This is the 4th installment in my responses to Jeremy Fox’s questions about the long-term evolution experiment (LTEE) with E. coli. This response addresses his 5th and 6th questions, which are copied below. Past. All in all, I’ve been very fortunate with funding for my research. My first attempt to get the LTEE funded was rejected, but around that time I received a Presidential Young Investigator Award from the National Science Foundation (NSF) that gave me considerable freedom to pursue the research directions that most interested me. Various grants have supported the LTEE since then including, for the past 10 years, an NSF LTREB grant (LTREB stands for long-term research in environmental biology). LTREB grants are very small, but mine provides core support to keep the lines going. Other funds are required to do anything more than some basic quality control and assays. My professorship at MSU—named after John Hannah, who was president of MSU for 28 years, about the duration of the LTEE!—has provided discretionary funds that have been invaluable, allowing us to explore new scientific directions and techniques as they become interesting and available, without requiring us to first secure funding. And the graduate students and postdocs in my group have been very talented, and they’ve often been awarded fellowships that fund the essential brain-power and hard work that has made the LTEE so successful. Present. I take proposal writing very seriously, always emphasizing both the overarching questions that have been with the LTEE since it began and the specific aims that arise from new discoveries and technical advances. One always has to make the case for why a particular project, individual, or team merits support. So I wouldn’t say it has gotten easier to get funding, especially given the decline in funding rates. But I do sense that reviewers have, on balance, become increasingly excited by the LTEE project over the years, as it has borne a lot of fruit. In fact, the NSF program officer has told me that the LTREB grant will be funded again for the next 5 years. During the pre-proposal phase (yes, a pre-proposal was required for a project that has run for over a quarter century! 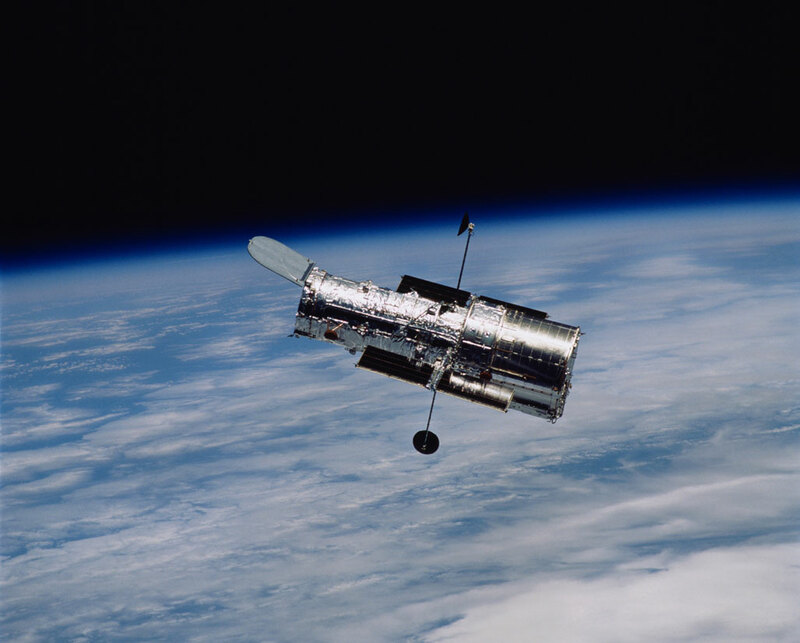 ), the panel summary called the LTEE “this community’s Hubble Telescope.” Now that was certainly gratifying! Future. The big challenge going forward will be to secure funds that will allow the LTEE to continue after I’m gone. Many colleagues have told me that the LTEE must continue, and I agree. (I’m not planning on retiring anytime soon, but I think it’s wise to hand off a project sooner rather than wait to the last hour.) I like to call the LTEE the experiment that keeps on giving, so the challenge is to find a way to make that happen. I realize that not every scientist will have the same good fortune that I’ve had. Indeed, by continuing “someone else’s experiment” a young scientist might even be viewed by some as unoriginal and thus unworthy of the privileges of tenure and funding. To overcome that stigma, I’d like to secure funds to ensure that, not only can the LTEE continue, but that its continuation is rewarding rather than burdensome to future scientists. After all, it comes with its own inherent challenges—including the fact that the populations are tended every day as well as management of the ever-growing collection of frozen samples. My thinking is that each successive scientist responsible for the LTEE would, ideally, be young enough that he or she could direct the project for 25 years or so, but senior enough to have been promoted and tenured based on his or her independent achievements in a relevant field (evolutionary biology, genomics, microbiology, etc.). Thus, the LTEE would likely continue in parallel with that person’s other research, rather than requiring his or her full effort, just like my team has conducted other research in addition to the LTEE. The goal, then, is provide the future project leaders with the benefits of continuing the LTEE while relieving them of the most onerous burdens.